Blueberries are nutritious and healthy fruits. When we have to buy them in stores they can be quite pricey. Luckily they are one of the easiest berries to grow. Blueberries are true sun lovers but they also tolerate some shade. Choose the location where they will be able to get as much sun light as possible. 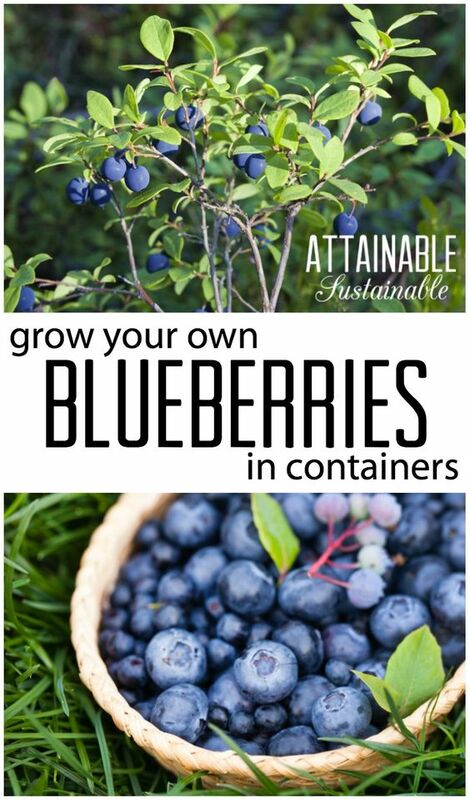 You can either plant them directly in the garden or in containers but be aware that the blueberry bush will probably grow quite big and wide. 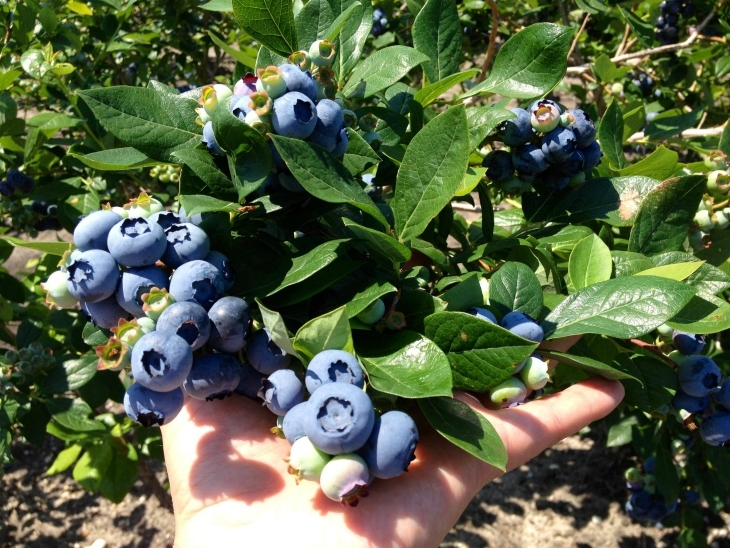 When there is no regular rainfall, you should plan on frequently watering your blueberry bushes. It is advisable to use rainwater as the lime in tap water will reduce the soil acidity over time. Water them well especially during the dry season and in the first period after planting. All that blueberries require is a soil with a pH of 4.0–5.5. Unless your soil is acidic, it is maybe better to grow them in large containers. They love water and moist but don’t like to be soggy. Plant your bushes in well-draining soil. You can plant bare root blueberry shrubs in the winter. If you choose to grow them in containers you can plant them at any time. Make sure though that they will be well watered after planting regardless of the time of the year. Space blueberries around 4 feet apart. They are partially self-pollinating and can pollinate their own flowers, but they will crop better if nearby some other varieties will be planted. You could team them with cranberries, which like the same growing conditions and will extend the fruiting season. This can be very hard thing to do but the first year after planting you have to cut off all of the blooms so there will be no blueberries in the beginning. On the other hand, because of doing so you will have a great crop in years to follow. Later you just prune at the end of the growing season. Consider applying mulches. From two to four inches of mulch once a year, will help regulate moisture. Another benefit is that this will keep weeds at bay. One more useful advice would be to use nets in order to protect developing fruit from birds. Secure the net at ground level. Fertilize your blueberries regularly with an acid fertilizer. It is especially recommended to do it early in spring, when they start to bloom and then again when the fruit is already established. Variety that is more suited to warmer areas is called rabbiteye. This one may also be slightly more tolerant of not ideal soil and water conditions. If you live in colder region it is better to plant northern highbush varieties. Choose at least two varieties for cross pollination. There is a fungal disease called powdery mildew which causes the leaves to turn brown and die. It will weakening the plant and reducing the crop so remove and destroy all infected growth as soon as you notice it. Most common pests besides birds are also insects like blueberry tip borer, cherry fruitworm, cranberry fruit worm and plum curculio.